MAP NOTATION: The reference of Clarence Fulton within the map is no longer valid. 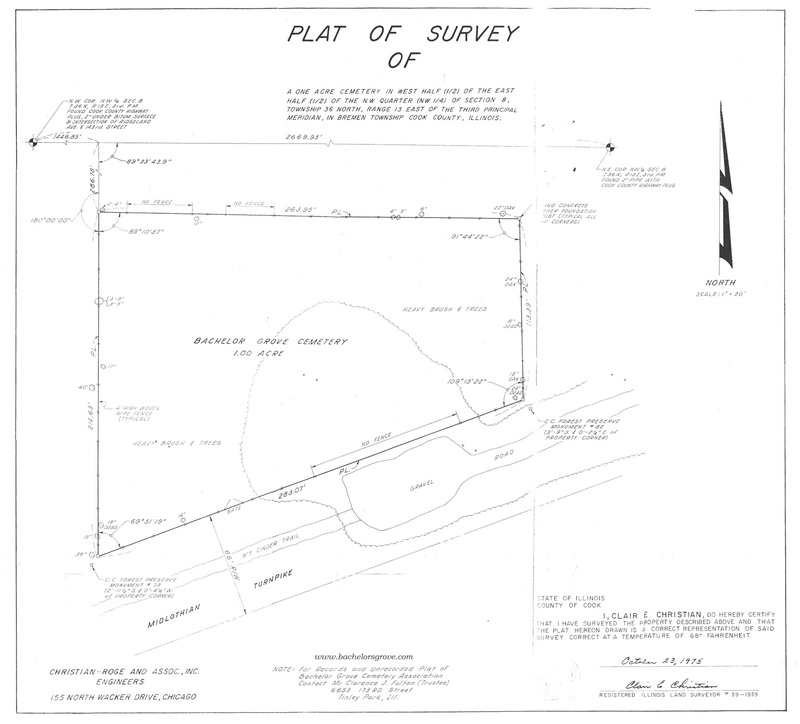 The following is a Plat of Survey map created in 1975 which also describes remains to the original fence before the new fence was installed in 1976. Upon inspection, you can see that the original entrance to the cemetery was closer to the southwest area. Today, the new fence covers an area a little larger than the original. For best results a PDF version is available for download. Please note, text will be hard to read if printed on standard 8.5" x 11" paper. These markers can be found near the corners of the fence. The orginal fence primarily used the metal post shown below. 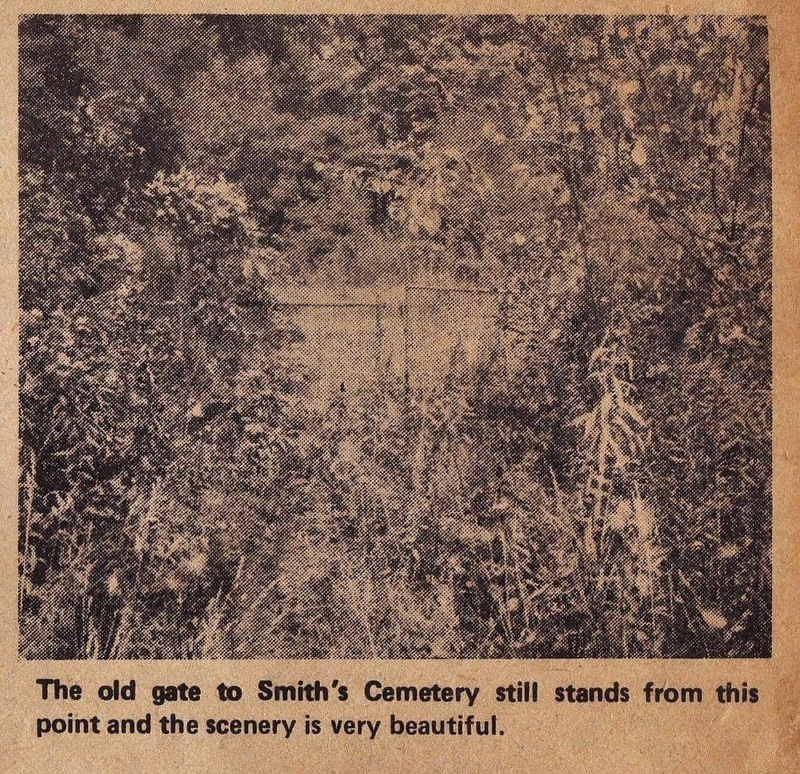 Original southwest entrance to Bachelors Grove cemetery in 1971 from the Star newspaper. Originally called Everdon cemetery, it was also known by locals as Smith cemetery.